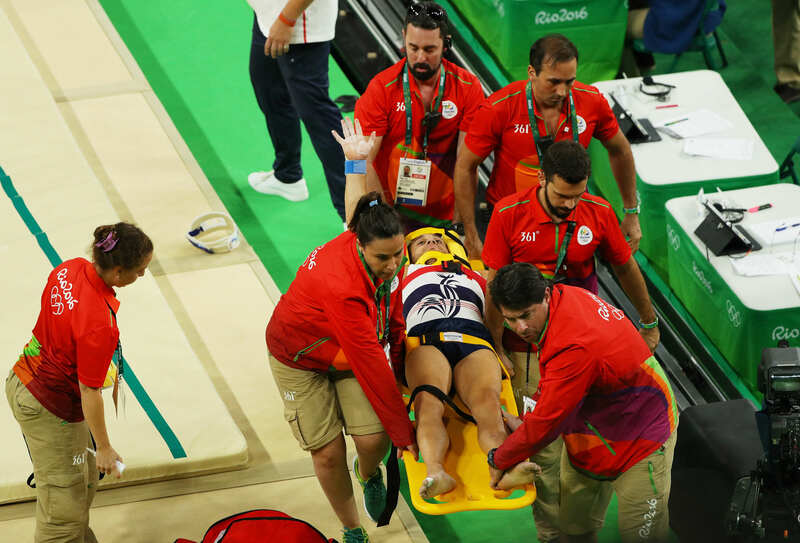 A French gymnast competing at the Olympics has suffered what could well be one of the worst leg breaks you’ve ever seen. 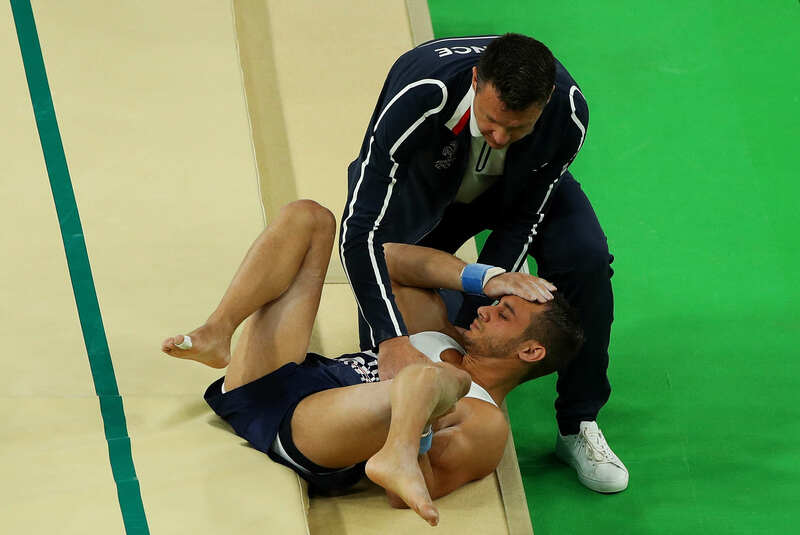 Samir Ait Said was doing the vault during the team preliminaries when he landed awkwardly, breaking his left leg, reports Uproxx. But this wasn’t just any leg break, oh no. This is what has been widely described as ‘horrific’, ‘stomach churning’ and ‘hideous’. This is, in all seriousness, one of the worst leg injuries that we have ever seen. If you reckon you’ve got the stomach for it, you can check out the most gruesome pics, along with a video below – but be warned – these are definitely not for the squeamish! 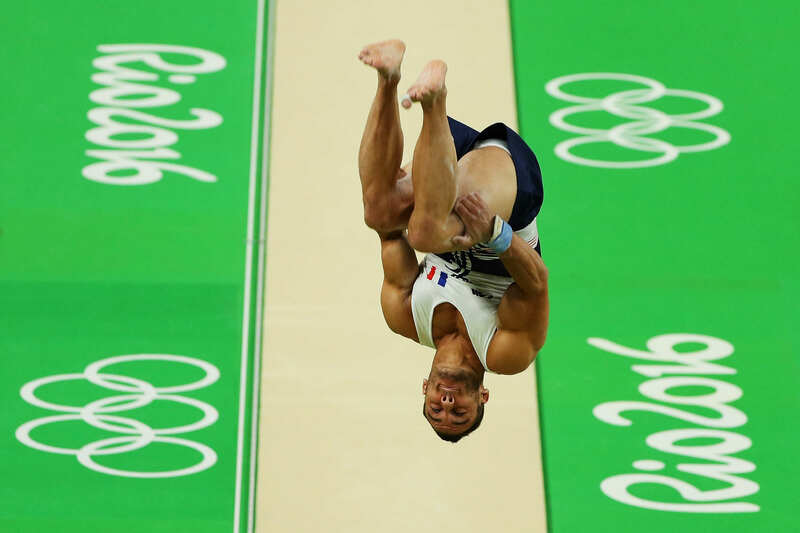 It’s a real shame for any athlete to suffer any injury, but Samir had come to Rio in great form – especially on the rings, where he has won a silver, bronze, and gold medal at the 2015, 2014, and 2013 European Championships, respectively. Then, just to make matters worse, the paramedics dropped poor Samir’s stretcher just as they were loading him into the ambulance. FFS. Best wishes to Samir for a fast recovery – hopefully, he’ll make a full and speedy recovery and get back to gymnastics as soon as possible.